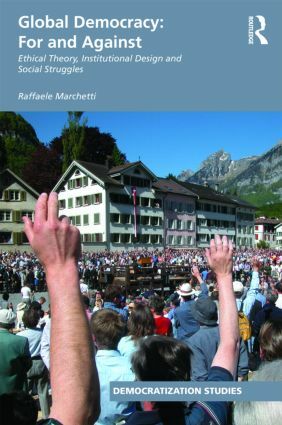 This book defends the case for the expansion of the democratic model to the global political sphere. Concentrating on the democratic deficit of international affairs, it examines the nexus between the phenomenon of international exclusion and the political response of global democracy. This distinctive position is developed through a critical survey of the principal theories for and against global democracy. The main rival narratives (realism, nationalism, civilizationism, and liberal internationalism) are rebutted on grounds of failing democratic principles of inclusion. Based on a notion of interaction-dependent justice, these theories arguably provide a crucial ideological support to the exclusionary attitude of the current international system. Going beyond these exclusionary paradigms, the book defends a model of cosmo-federalism that is all-inclusive, multilayered and rooted. The text adopts an interdisciplinary perspective that combines three areas of scholarship: international political theory, international relations and political sociology. Within them, a number of contemporary controversies are analyzed, including the ethical dispute on global justice, the institutional debate on supranationalism, and the political discussion on social emancipatory struggles. From such an interdisciplinary perspective derives an engaged text that will be of interest to students and researchers concerned with the key political aspects of the discussion on globalization and democratic global order.